American Pet Diner - Grain Hay Minibale - 24 Case Great way to add variety to your pet's diet. One or more types of grain head mixed with stem. Feed as a treat and to add fiber to the diet. 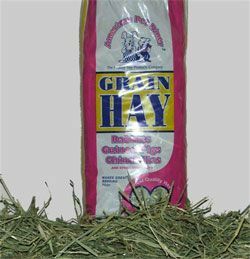 Your pet will love to search for the seeds in this grain hay. American Pet Diner - Grain Hay Minibale - 24 Case-24 Case- product is categorised under Wholesale American Pet Diner products, Wholesale Small Animal Products, Wholesale Rabbits, Wholesale Food & Treats. Angel Pet Supplies - DBL Handle Braided Leather Leash - Brown - 6' X 3/4"